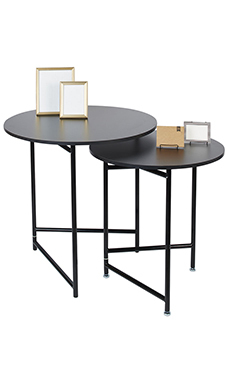 The Round Nesting Black Tables are sold in a sets of 2 and are made of melamine with metal legs. These tables are great for displaying any type of merchandise and will match the look of any store. 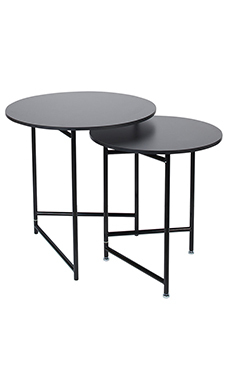 The small table measures 27½" Diameter x 30¼"H and the large table measures 33½" Diameter x 33¾"H. Assembly required.